When it comes to love, do we go on with hope? Or do we choose to live in denial? 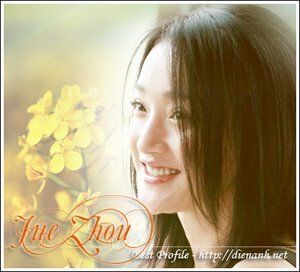 Limi (Zhou Xun) is a cab driver on a search she has been trying to find her fiance Fang Wen, who disappeared from her life suddenly after her disapproving parents broke off their pending marriage. For four years, Limi has been receiving letters from Fang Wen randomly, all sent to her without a returning address. Unable to let go, Limi keeps his photos tucked in a magazine, showing them to every passenger that boards for a ride, hoping one day, she might run into someone who will give her a clue. Qiu Shuitian (Wang Baoqiang) is a small time crook from the countryside of Yunnan. He, along with his partner, Qiu Huogui, arrive in the big city with hopes of striking some gold to bring back home. But at the same time, Qiu Shuitian secretly has another agenda, he is also searching for a girl who has left their hometown to work in the city the girl he loves the girl he intends to spend the rest of his life with. When a mysterious death occurs, the lives of these unexpected strangers are suddenly intertwined together. A drug trafficking crime is unveiled, and through the twists and turns of the investigation, their stories unravel, and a bizarre connection is gradually discovered between them. - " Li Mi's Encounters" Began Shooting In Secret ?